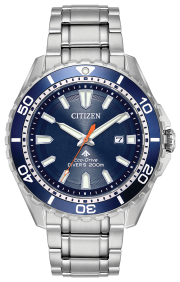 Citizen is proud to present its new Jolie timepiece, offering the right balance of indulgence and understated glamour. A modern, fashion-forward take on a classic design featuring beautiful diamonds on the dial, this timepiece is designed for the modern woman. 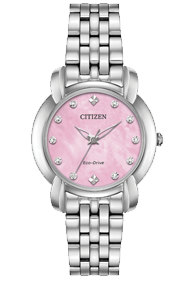 The delicate pink Mother-of-Pearl dial, sapphire crystal and 10 sparkling diamonds complete this stunning timepiece. 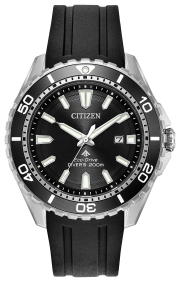 Featuring our Eco-Drive technology - powered by light and never needs a battery.